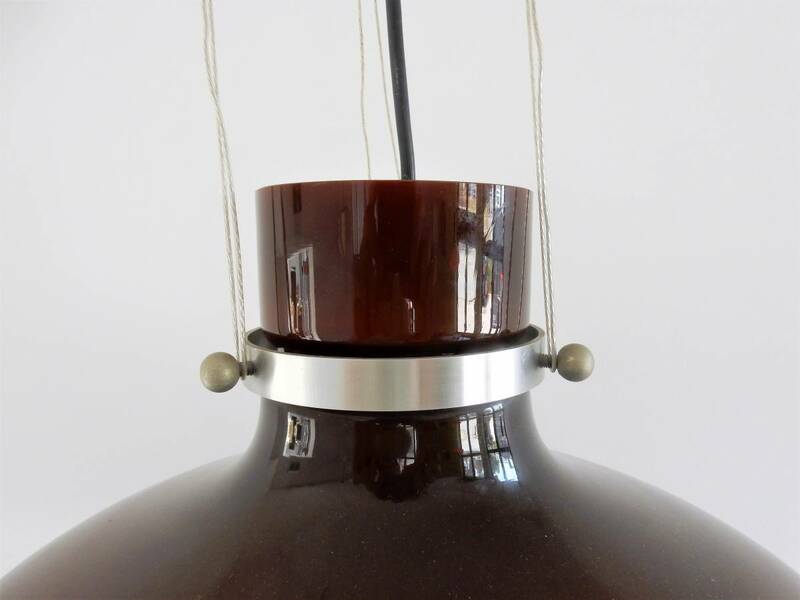 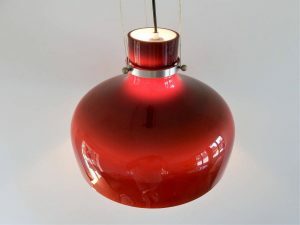 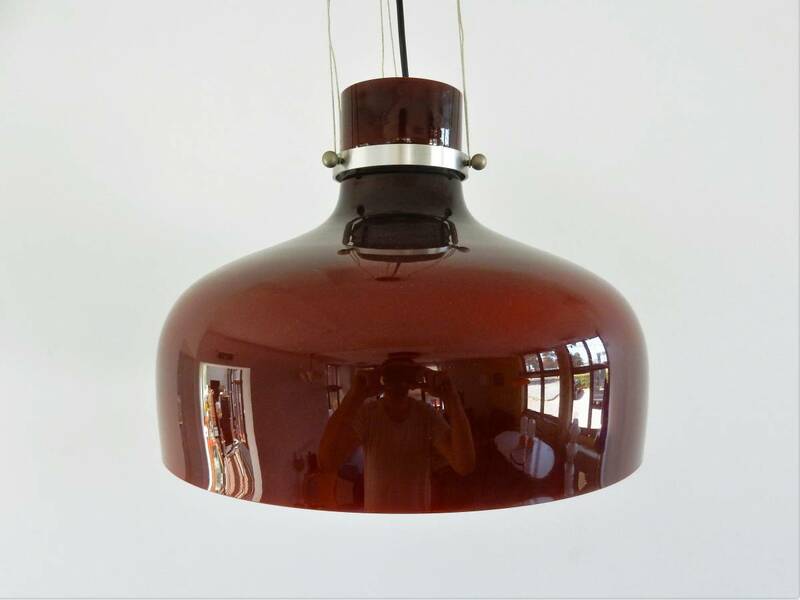 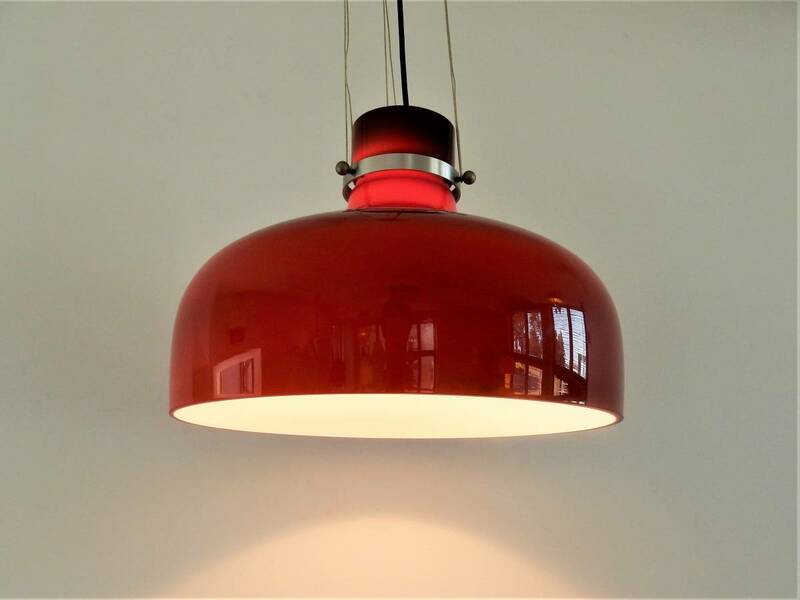 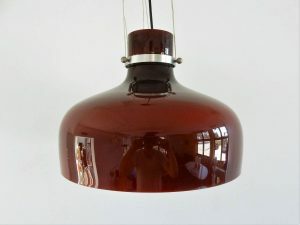 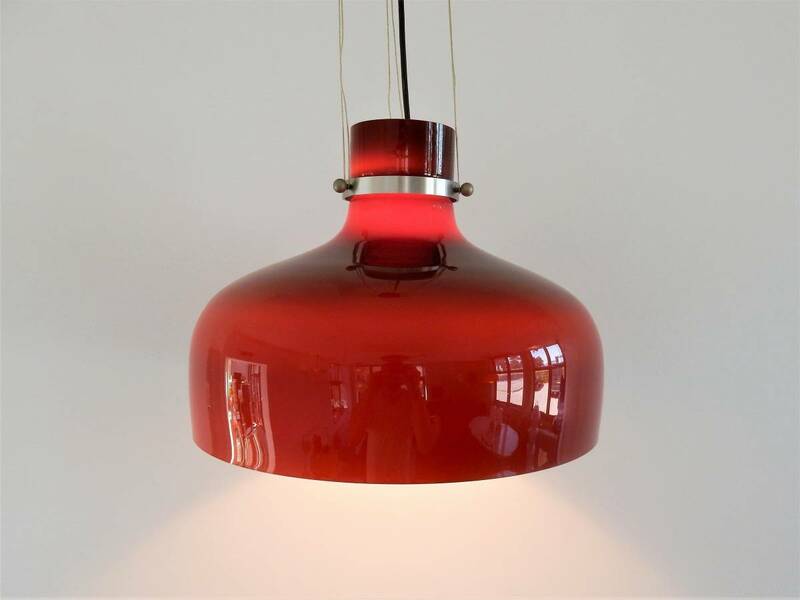 This large and very nice pendant lamp is made of red brown colored glass with a white inside. 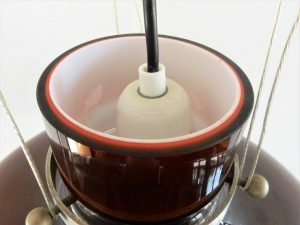 The glass is hung to the fixture by a metal ring with 3 connecting screws. This model is documented in the catalogue of Indoor, but than as a smaller size. Indoor was the importer of high end lighting manufacturers for The Netherlands. 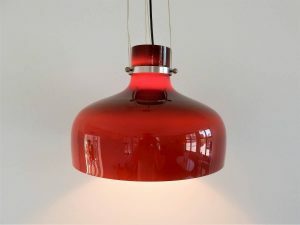 This pendant light is often attributed to Holmegaard. 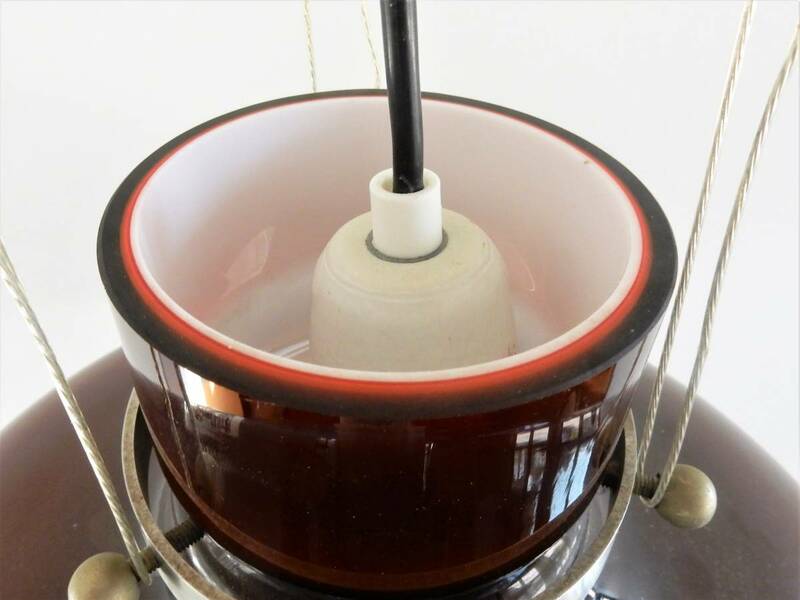 The lamp is in a very good condition with minor signs of age and use.